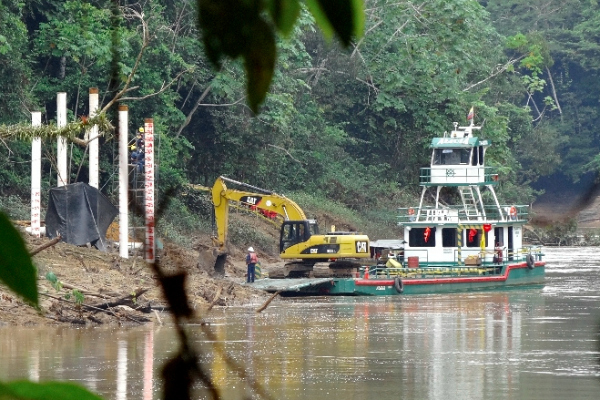 The European Union admired Ecuadorian President Rafael Correa’s now-abandoned radical conservation effort to keep Yasuní’s vast oil reserves untapped but did not want to foot the bill, preferring more traditional forms of aid. Environmental campaigners sighed last month as the Ecuadorian president announced that he would allow companies to drill for oil in one of the world’s most biodiverse regions, Yasuní in the Amazon. In 2007, he proposed Yasuní-ITT, a radical initiative that would protect the Unesco biosphere reserve from drilling, prevent the release of an estimated 400 million tons of carbon dioxide into the atmosphere and compensate Ecuador for lost revenues from oil extraction. By ‘crowd-sourcing’ the funds, numerous donors could make relatively small contributions, which together could make up the €2.7 billion needed by 2020 for the plan to go ahead. But on 15 August Correa called off the programme, having secured just €230 million in international contributions, most of which was kept in a United Nations trust fund. Despite austerity programmes 10 European regions contributed €115-190,000 each. France, Belgium, Turkey and Spain all promised relatively small payments. Italy, along with a number of other countries, agreed a “debt-swap”, striking off a portion of the money Ecuador owed them. The European Union, the world’s largest overseas donor, did not contribute. “The EEAS [European External Action Service] and the European Commission services have always conveyed our sympathy to the efforts made by the Government of Ecuador to address the challenge of climate change and biodiversity conservation,” a spokesperson for the EU executive’s development directorate said in an email. That was Correa’s problem: the international community for the most part supported his aims, just not his method. Germany, Europe’s largest economy, went from being a major supporter to playing a crucial part in opposing the Yasuní-ITT. Germany had tentatively promised some €38 million, under the former development minister Heidemarie Wieczorek-Zeul. But his successor, Dirk Niebel, pulled the German payments. "Refraining from oil drilling alone is not going to help in forest preservation, and compensation payments have little prospect of success in climate protection measures," Niebel wrote in a newspaper op-ed back in 2011. The withdrawal of support prompted a spat with Correa, who then cancelled a €34.5 million German aid programme to protect Ecuador’s rainforest and indigenous people, including under the UN's Reducing Emissions from Deforestation and Forest Degradation (REDD) programme. The EU also opted to stick to traditional rainforest protection channels, backing the UN’s revamped REDD+ initiative. “Our support goes to schemes for the reduction of emissions from deforestation and forest degradation (REDD+) and to programs aimed at establishing and managing protected areas," the EU spokesperson said. In 2007, Ecuadorian president proposed Yasuní-ITT, a radical initiative that would protect the Unesco biosphere reserve Yasuní from oil drilling, prevent the release of an estimated 400 million tons of carbon dioxide into the atmosphere and compensate the Ecuador for lost revenues from oil extraction.